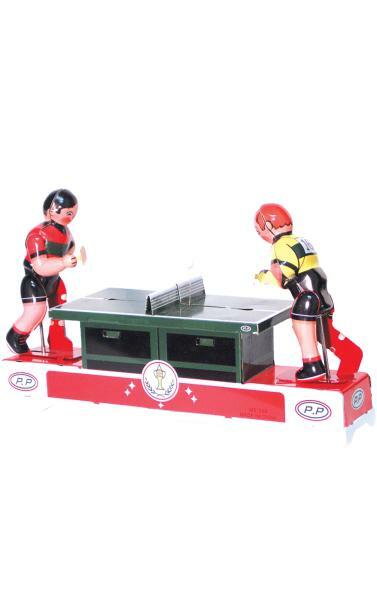 MS358 - Tin Toy - 5H x 3"W x 9"D"
MS358 - Collectible Tin Toy - Ping Pong Players - 5H x 3"W x 9"D"
Tin wind-up ping pong players. Ball floats back and forth - figures move - fierce competition in table tennis! Made in China. Recommended for adult collectors.